I love baseball, I always have. This past season, I was able to get to the ballpark twice. Once in Detroit and once in Chicago and both were good games. Baseball is in the post-season and the San Francisco Giants will face the Kansas City Royals in the World Series starting next Tuesday. I got home tonight in time to watch the bottom of the ninth and three run walk off homer that propelled the Giants into their third World Series in five years. Tonette, my friend from San Francisco, is going wild in San Francisco. I can’t say I blame her. I’ve been thinking about San Francisco lately. I enjoyed living there and I will never forget the three years I lived and worked in Bay Area. 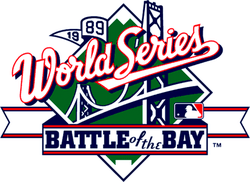 23 years ago, I had tickets to Game 3 of the World Series. It was the San Francisco Giants vs. The Oakland A’s. There are a few things in life that you’ll never forget, and going to a World Series game is probably one of them. Yet, that is not what I remember the date for, it was 23 years ago today that I was in a major earthquake.